Sights of Jarash. Ruins of an ancient city. Roman ruins. The ancient city of Jarash. Sights of Jarash. Ruins of an ancient city. Summer Trip Through the Ancient City. Video of a Historical Place. 4k00:29Ancient historical pillars of an ancient Roman temple. 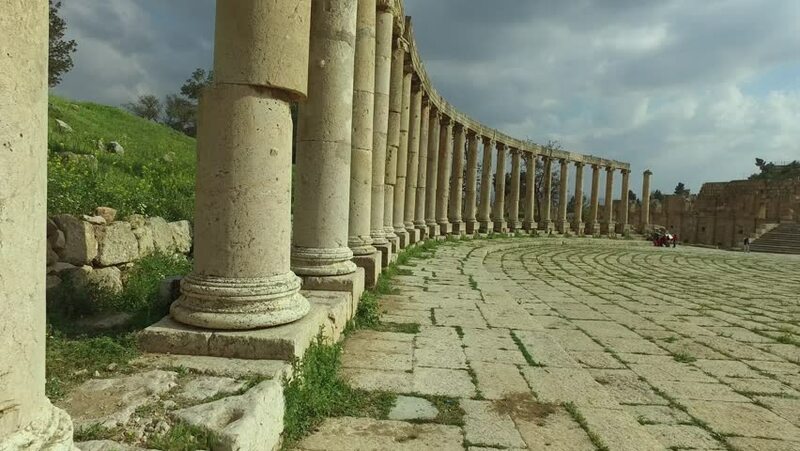 Jarash is One of the Surviving Roman Cities. Summer Trip Through the Ancient City. 4k00:08Ortigia, Siracusa - Syracuse, Sicily. 2018 Jan : Archeological site with ruins of Greek temple and village, with stone columns and walls. Part of landmarks of town Ortigia Syracuse.